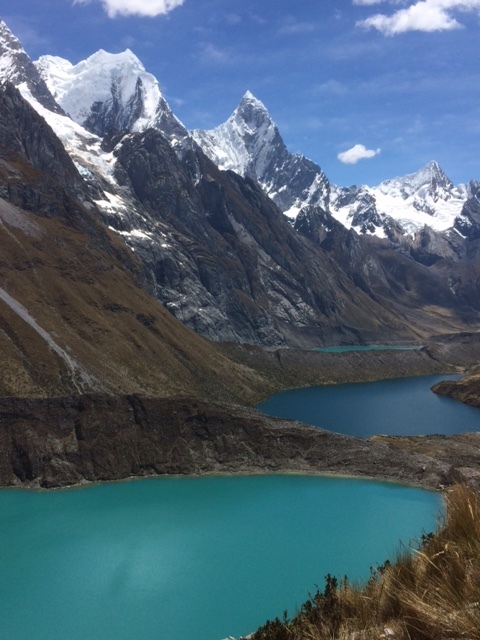 "Not only the highest place I've ever been, but easily the most beautiful and quietest as well"
The Cordillera Huayhuash (pronounced why-a-wash) is home to some of the most spectacular mountain scenery found anywhere on Earth. The area is surrounded by several peaks that all exceed 6,000m. 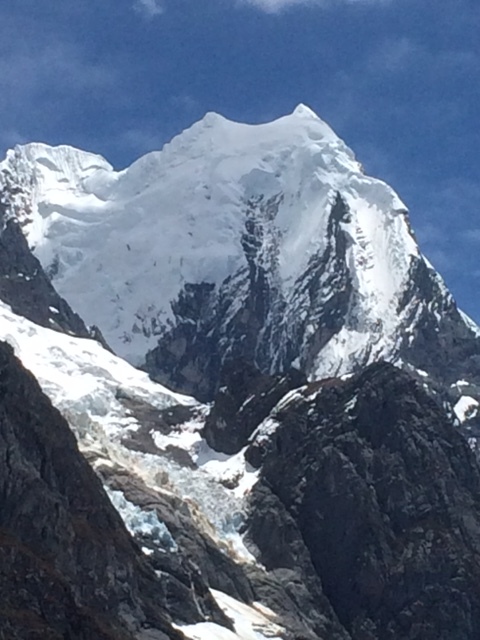 As a result, the Huayhuash trek gives travelers to see these world-famous mountains up close. The circuit can be completed in 5-18 days. However, whatever route you chose, this is a truly mesmerizing high-altitude trek. The Huayhuash has an eery, ‘wild-west’ atmosphere. Furthermore, The feeling of remoteness deepens the more days you spend on the circuit. At times, the trail is challenging. There is about one high pass each day. Although, this is interspersed with peaceful descents towards stunning glacial lakes. The best time of year to visit Huayhuash is between April and September. The weather is usually calm and sunny. However, whatever the weather, the hot springs you’ll visit in Viconga are always a welcome resting spot. 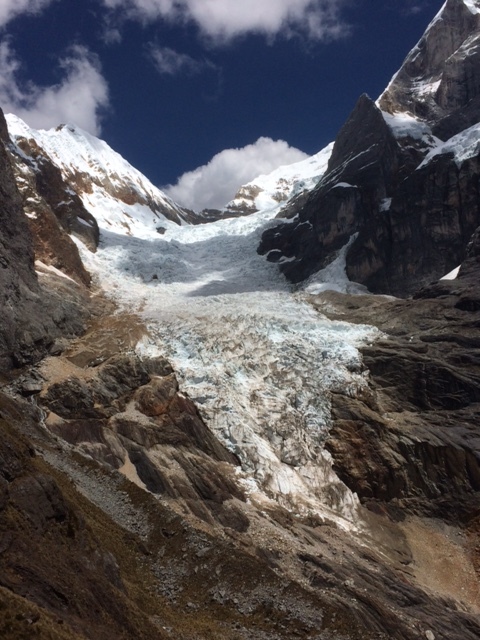 The Cuyoc glacier (5,000m) is one of the trek’s highlights. In addition to this, the visit to the village of Hauyllapa is memorable. The latter allows travelers to interact with a bustling community deep in the mountains. These factors make the Huayhuash trek widely recognized as one of the most spectacular hiking trails in the world. "With interesting itineraries amidst some of the finest scenery the Andes has to offer, their [Project Cordillera] sustainable trips which help support local Andean communities are highly recommended." While in Peru, don't miss Pachamanca, a traditional dinner guaranteed to make your mouth water. Gather up and drive south of the Callejón de Huaylas to Chiquian and Quartelhuain. The trail begins with an ascent to Cacananpunta pass (4,700m) before descending to our campsite at Laguna Mitococha. 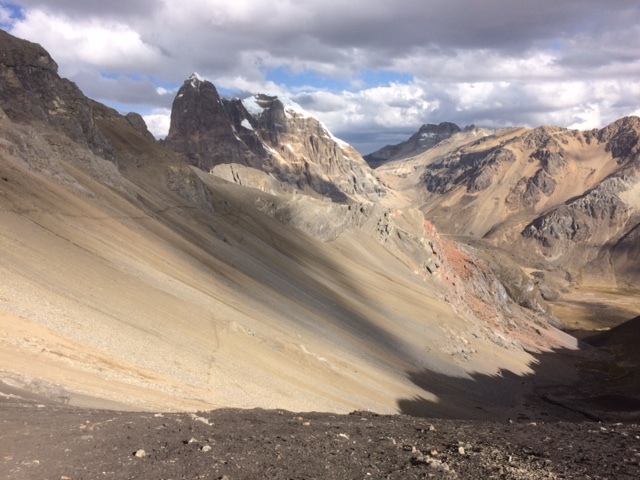 Climb to Carhuac pass (4,650m), appreciating views of the stunning peaks of Jirishanca and Yerupaja. Descend to our campsite at Laguna Carhuacocha. You can either follow the donkey trail up a gradual route to Punta Carnicero pass (4,600m) or take the more demanding route towards Siula pass (4,800m) but to be rewarded by truly magnificent views of the three turquoise lakes at the foot of Siula peak. 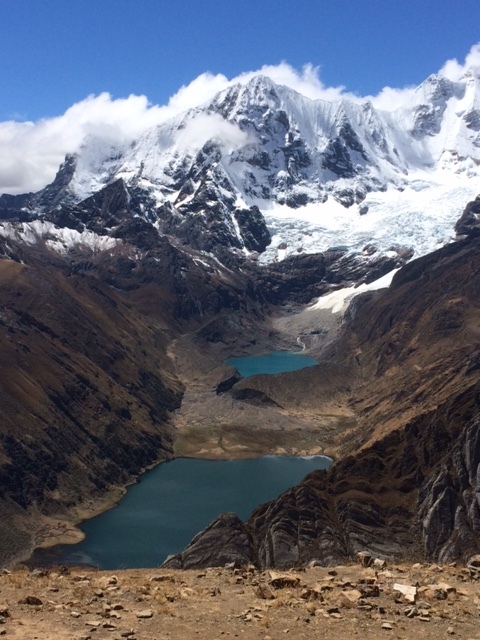 Ascend to Portachuelo de Huayhuash pass (4,750m) with stunning views of Trapecio, Sueroraju and the Puscanturpas peaks. Arrive at camp in Viconga with an optional soak in the thermal baths of the same name. 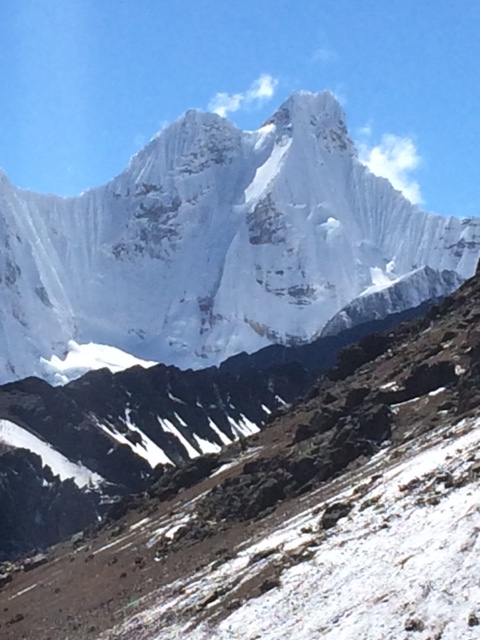 Ascend the challenging Cuyoc pass (5,000m), with face-on views of this glaciated double peak. After dropping into the Huanacpatay Valley, a steep hike to San Antonio viewpoint (4,850m) is rewarded by the best mountain panoramas of the circuit. Hike a little further to our Huanacaptay campsite. 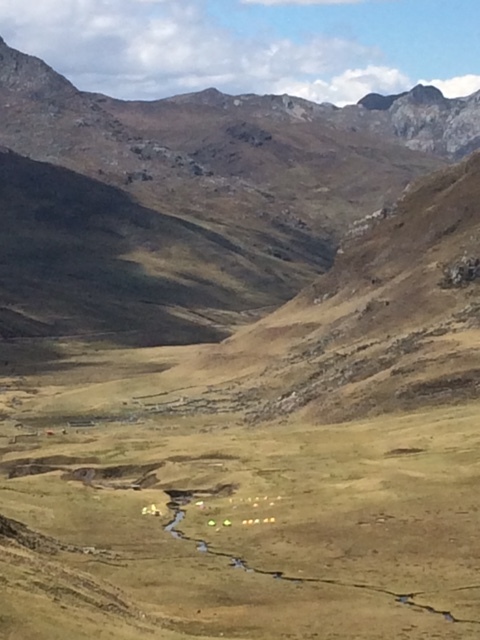 Descend the valley and pass through the village of Huayllapa before climbing to our campsite at Huatiac. Scale a pair of 4,800m passes, with your efforts rewarded by majestic views of the surrounding peaks including Yerupaja, Jirishanca and Rondoy. Camp lakeside at Laguna Jahuacoha. Rest day, so you can sit back and appreciate the vista. There are opportunities to climb to Laguna Solteracocha, observe a variety of striking Andean birds or enjoy some local culinary delights. Depart early via the Pacllón Valley and descend to the village of Llamac where transport will return you to Huaraz around 5pm. Check into your hotel for a hot and well-deserved shower. Meet again for a celebratory feast that evening. This is a 9-day trek starting in Huaraz. Max. team size: 8. Price: $960. This is an 18-day itinerary fully inclusive from Lima to Lima. Includes acclimatization hikes to Puka Ventana and Laguna Churup. Max. team size: 8. Price: $2,185. 4 people confirmed. This is an 18-day itinerary fully inclusive from Lima to Lima. Includes acclimatization hikes to Puka Ventana and Laguna Churup. Max. team size: 8. Price: $2,185.